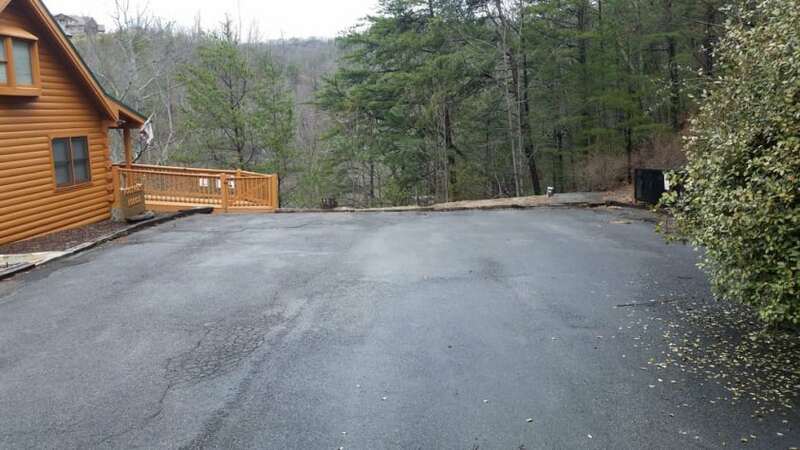 Amazing Log Cabin on its own private road with large cul-de-sac to park and turn around multiple vehicles or large vehicles - Quiet, Peaceful, Private - 'It Will Not Get Any Better Than This' -- Our cabin has spectacular views of the Great Smoky Mountains from two wrap around Covered Decks and from the family dining table. 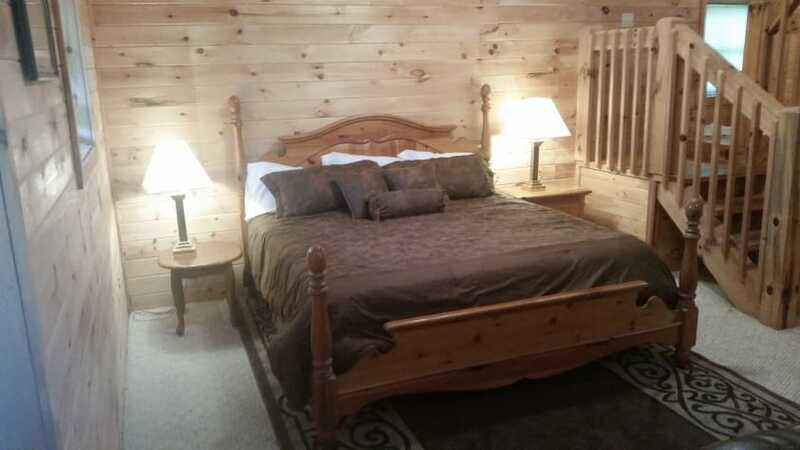 Nicely named the 'Foothills Lodge', New leather furniture, Ole-timey wood slat tables to all King Size beds in the 4 bedrooms and 3 full bathrooms. The 4 King beds and 2 sleeper sofas can accommodate 10 to 12 guests. 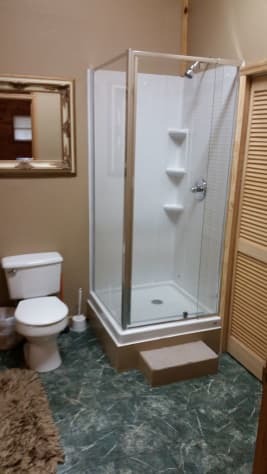 3 Full bathrooms with 2 of the bathrooms having tub-shower combo. 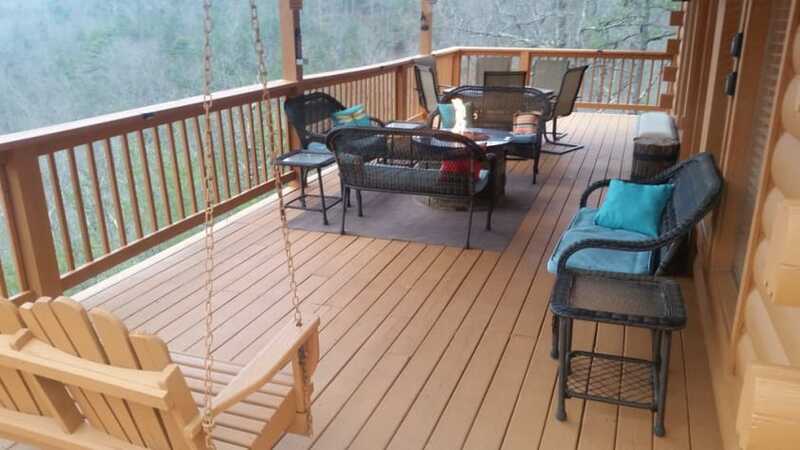 Lounging Deck furniture, Gas Fire Pit, all help with the tremendous over looking mountain views. 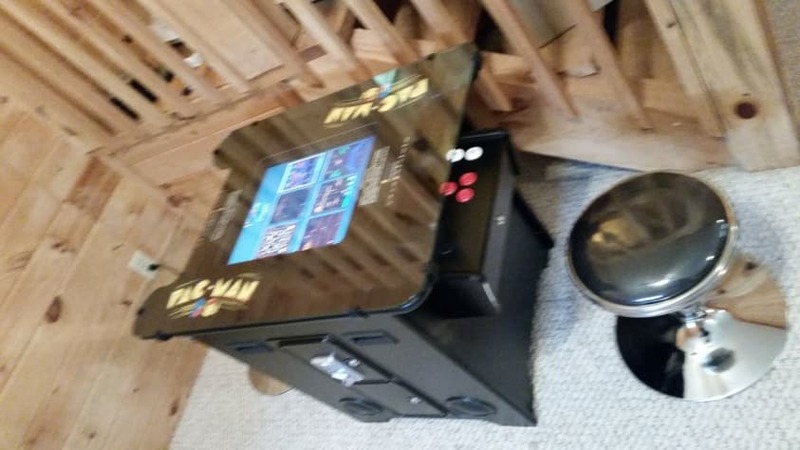 Electronic Video Arcade game (PacMan, Donkey Kong & 140 others) and Pool table and Air Hockey & Foosball table in the Game Room........ along with the Corn Hole Game on the lower deck. 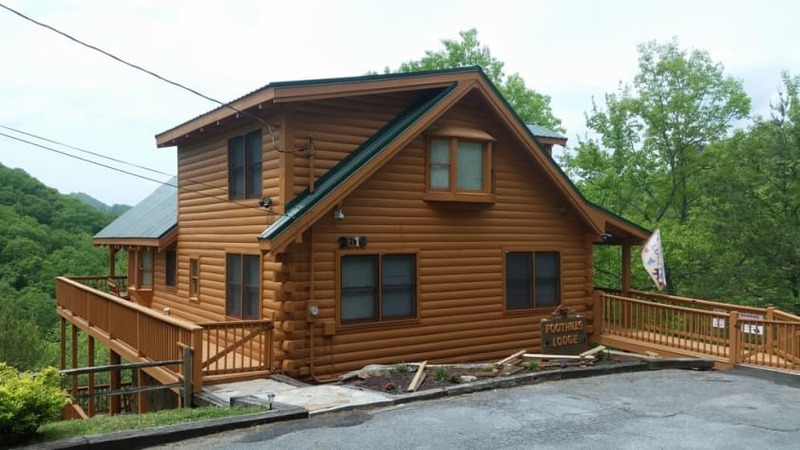 As remote as our vacation home is, it’s amazingly close to all of the fun, shopping, and entertainment of Pigeon Forge, Gatlinburg and the Great Smoky Mountains. Area attractions like DollyWood, Dolly Parton's Stamped and Jimmy Buffet's "The Island" are only a few minutes away. If you love cooking large meals this is the place for you. 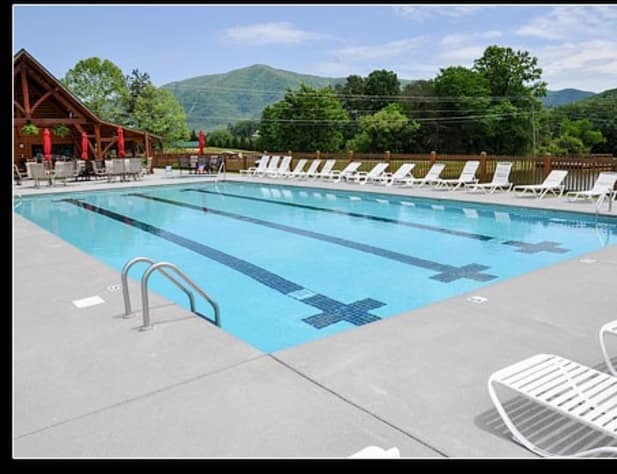 Just minutes from Pigeon Forge and located half-way between Pigeon Forge and Townsend (& Cades Cove), you can enjoy local attractions & restaurants like, Dollywood, Dixie Stampede and Jimmy Buffets 'The Island' or just enjoy the quiet country stores and attractions of Wears Valley. Wears Valley is just over the mountain ridge from Pigeon Forge. Check out the photos of this very modern and unique log cabin. **Wheel Chair accessible - yes there is - from parking area straight up on the main level deck.then straight into the cabin. 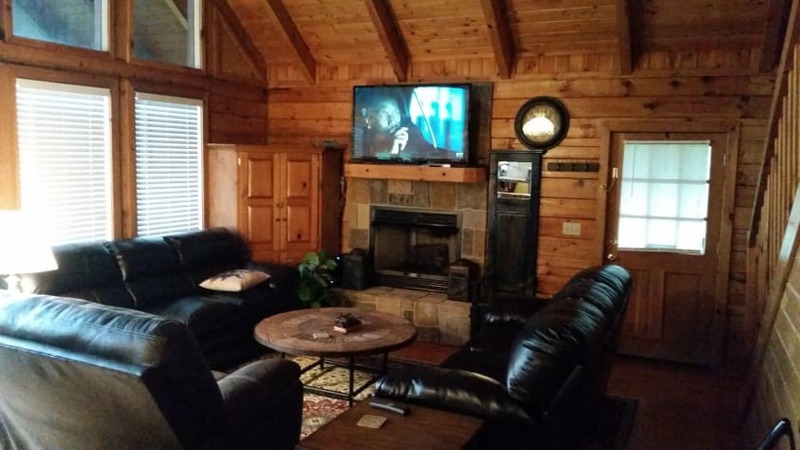 >Our cabin is equipped with everything you will need for your stay. from an open air full kitchen, cathedral 25 foot ceilings, to the four King-Size Beds, Wireless Internet and a Keurig coffee maker with supplied K-Cup pods. 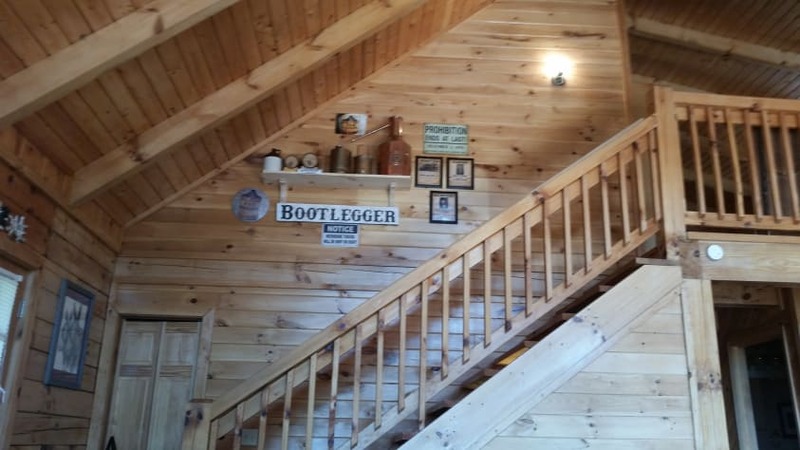 The cabin's Master King Suite Bedroom is upstairs and engulfs the entire upper loft area. 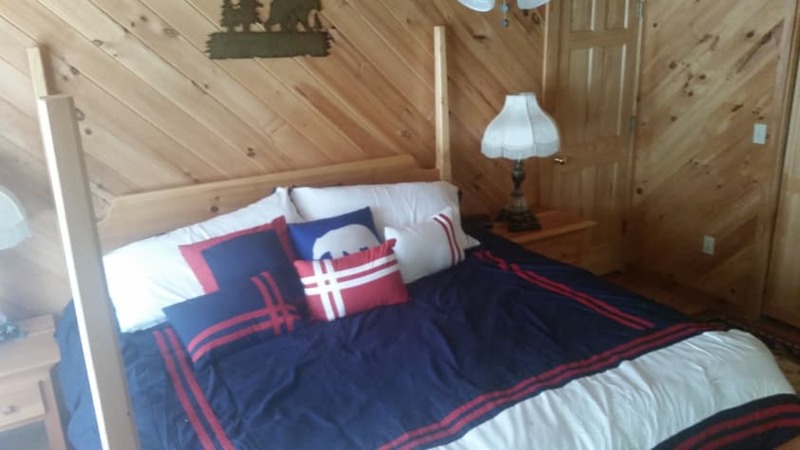 Two Kin bedrooms on the main level. 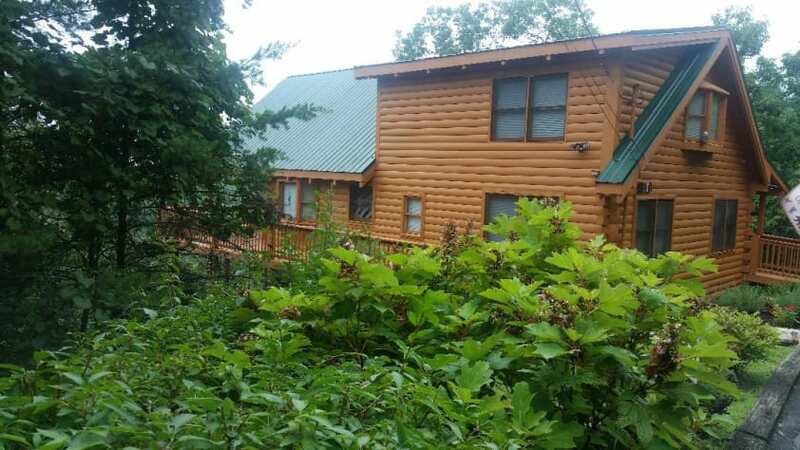 The cabin has full 3 baths, a rec room on the lower level and great mountain view out of the front 20 foot tall glass panes. 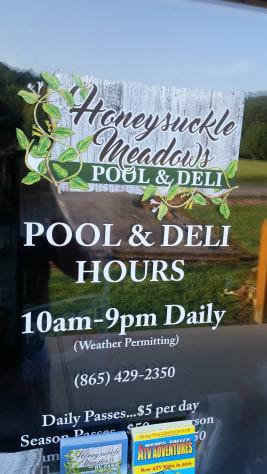 The rural community of Hickory Hollow has two, yes two, catch & release lakes for fishing ponds (bring your fishing poles) & a very large & nice community swimming pool (Swimming pool area has a deli for food/drink - seasonal). 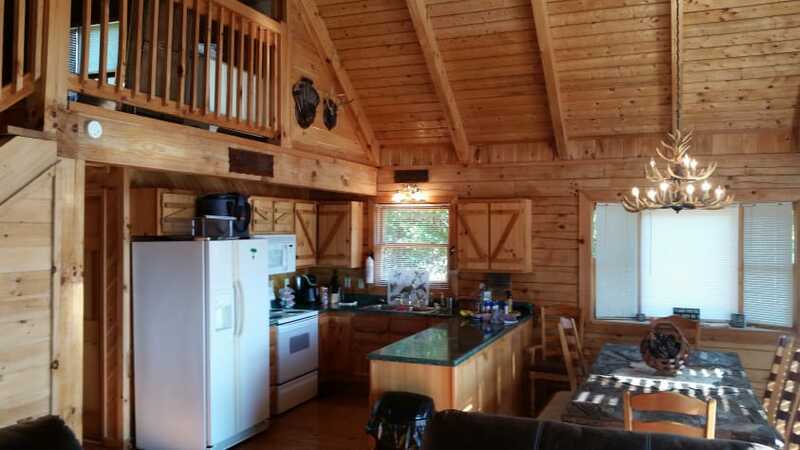 > This is a rustic 3 level cabin with two large wrap around decks. 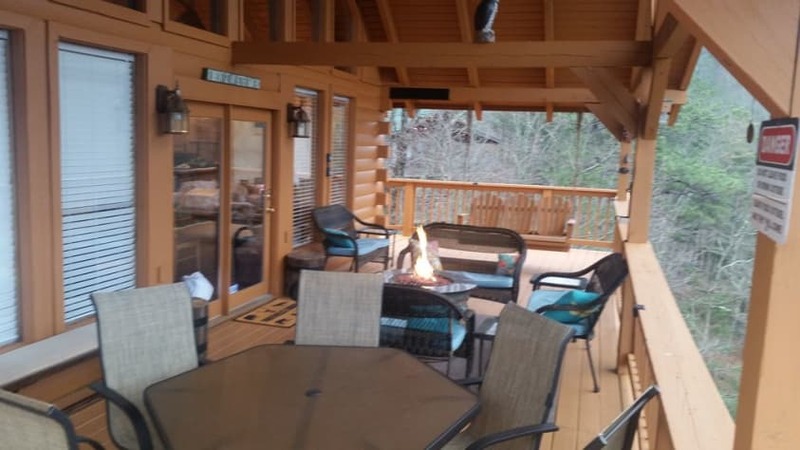 Entrance is straight onto the center main level deck with decking chairs and a gas fire pit. We have Corn Hole game on the deck along with deck swings. 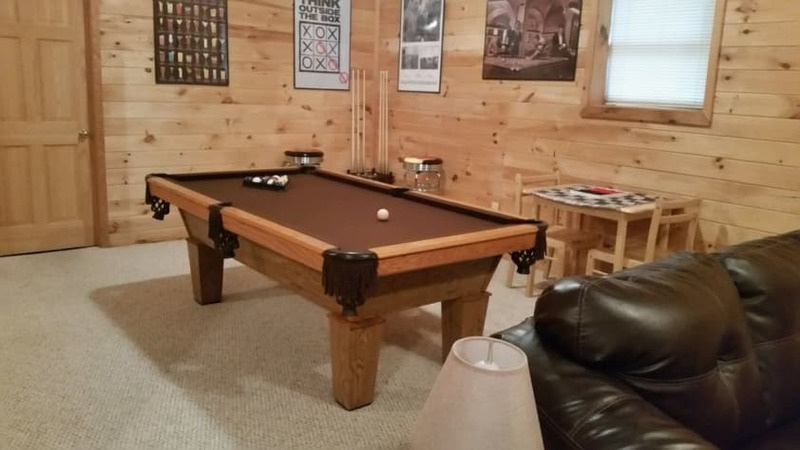 The lower level has electronic arcade video game (PacMan, Donkey Kong, etc), Air Hockey, Foosball table, and a billiards pool table. Check out the photos of the rec room. Please Note - Weekly Rates Available -- for savings on a 7 days or more -- This can save you a bit of money. **Please Note for bad weather (i.e. Snow Storms) this may cause a guest to miss their stay in our cabin; you are responsible for purchasing Travel Insurance to cover you stay. 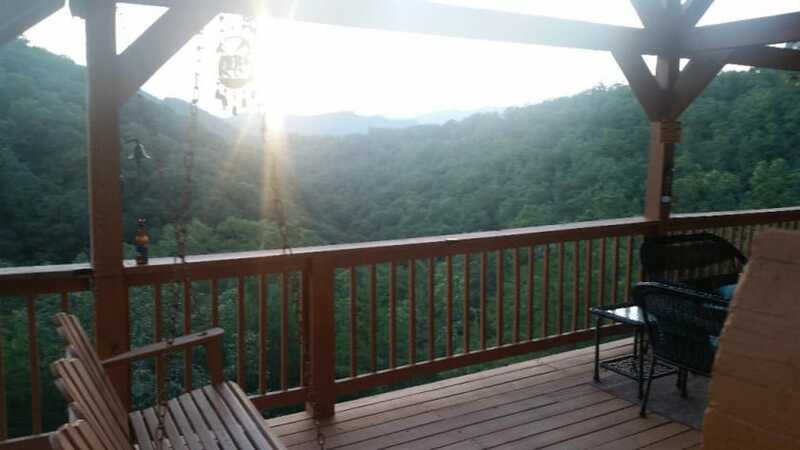 **DISCLAIMER - This cabin is in the Great Smoky Mountains where a multitude of wildlife exists. During your stay, it is possible you could encounter wildlife like Insects, Squirrels, Raccoons, Turkeys, Bears, etc. 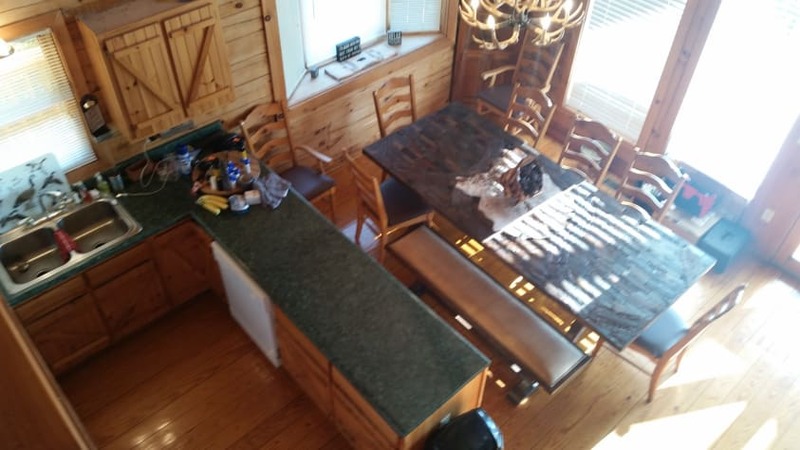 All possible notifications and efforts have been taken by the owners prior to your arrival to make this cabin a safe and enjoyable vacation rental for the guests. 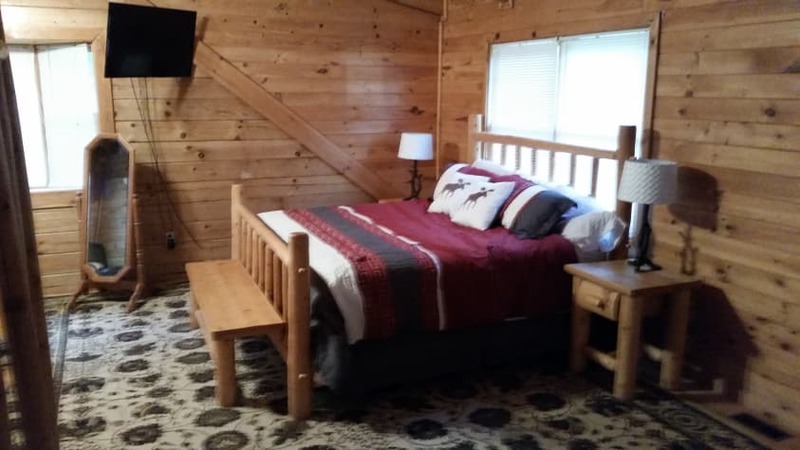 * 4th Bedroom - Lower level - King Size Bed - Open room style -with full bath with Shower with washer/dryer in corner closet -- this lower level also has 2 sleeper sofas. 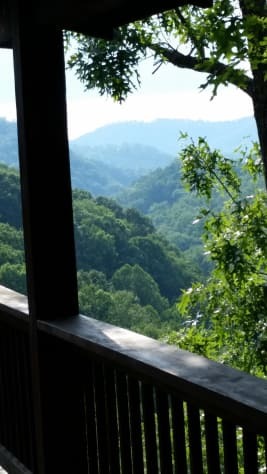 The adults loved the deck over looking the mountains. The kids loved the games. My family and I couldn't have had any better of a time than we had at Foothills Lodge!! The kids spent hours in the game room of an evening and had a blast! Thanks so much for a great vacation!! Highly recommend this property! We will be back! Thanks so much! 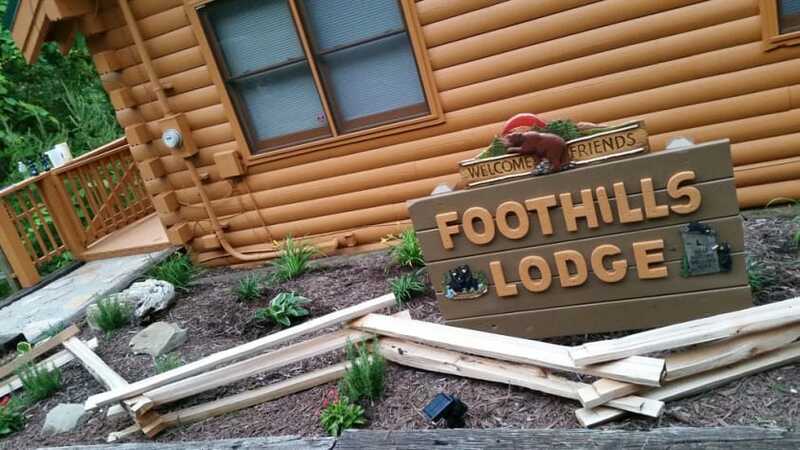 Our family loved staying here. 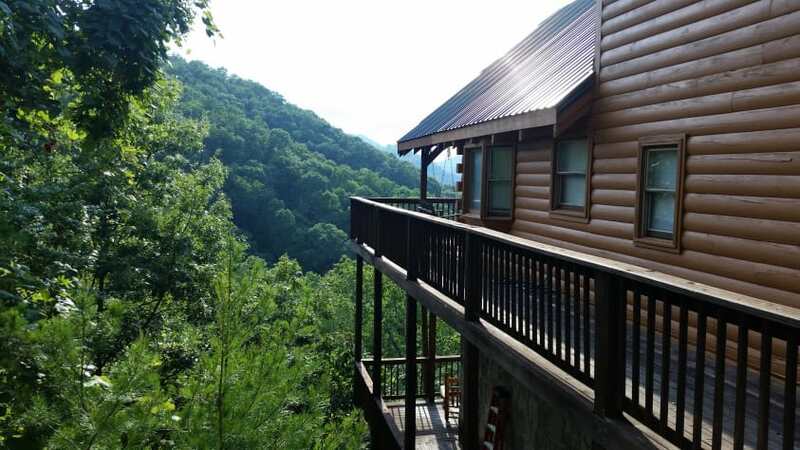 The view was wonderful, the cabin was very nice and well maintained. Owners were very nice and helpful when we had questions. We would definitely stay here again if we vacation in the area. 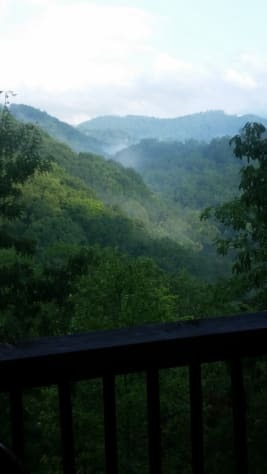 The views, cabin and deck were lovely. It was a great outdoor space on deck. We were very happy with the location for going into Smoky Mountains National Park. We were mostly interested in opportunities for seeing sights in the park and hiking which worked out great. It is easy to get to tourist and restaurant areas too. The cabin worked well for our family of six with 4 teenage boys. I would note that it has two regular bedrooms. The other two bedrooms is a loft area and basement game area. The roads in this area are winding and can be steep. 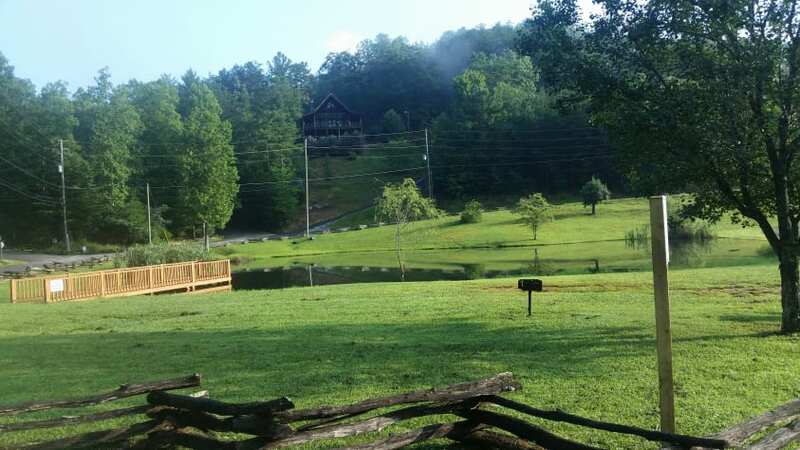 The benefit is very much the feeling of being away from it all and a beautiful setting. 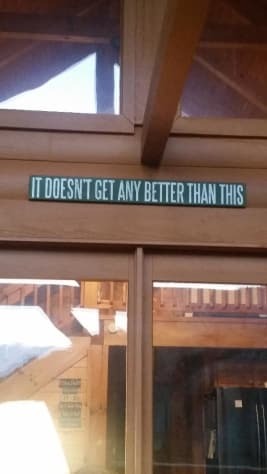 I would definitely return to this cabin.